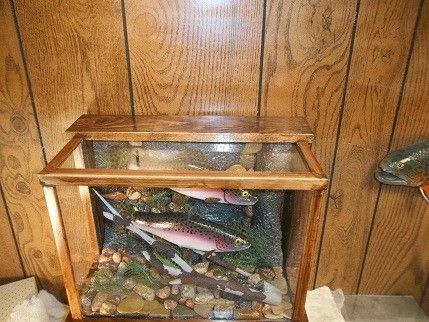 Handcrafted Curio Cabinet with two 11" Trout in a stream waiting for lunch. 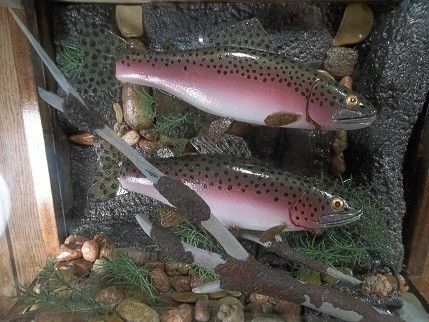 Constructed out of oak, and the fish are Urethane carvings, highly detailed and crafted by Dan Barden, Colorado Wildlife Artist. 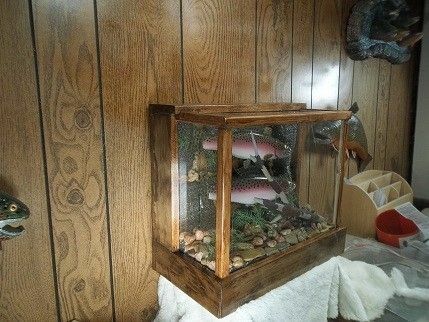 This is Wildlife Art, not Taxidermy, and priced accordingly. 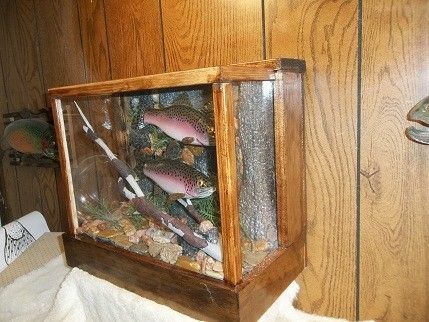 Dimensions: 16" high, 16 long ", 10" deep.